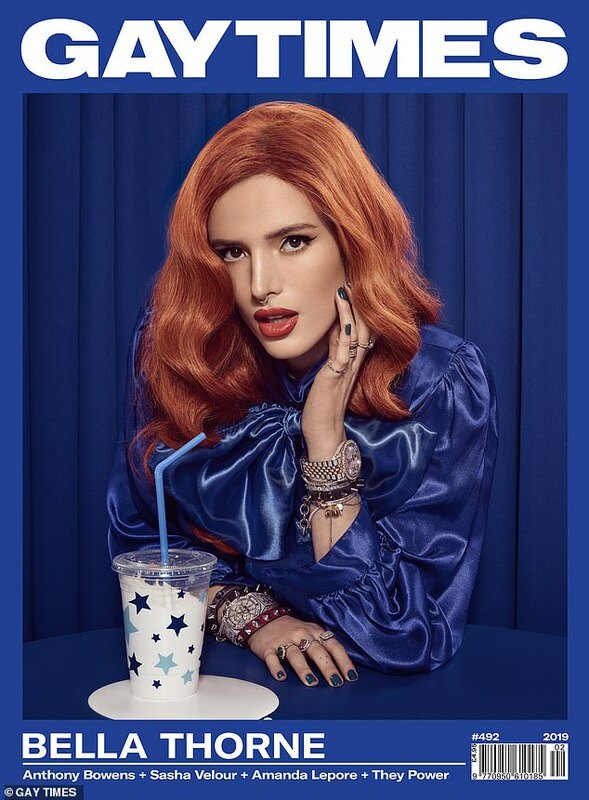 Bella Thorne made waves when she admitted she had both a boyfriend and a girlfriend in a October 2018 LA Times profile. 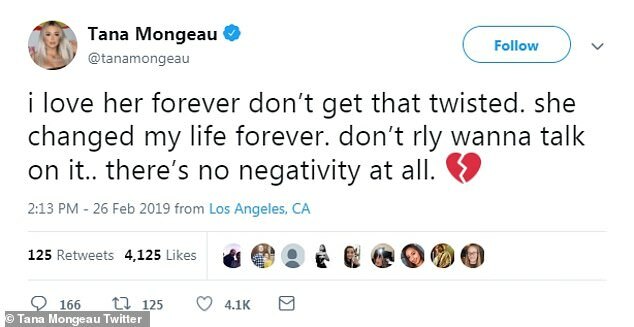 But it looks like things have fizzled out between the Paradise City actress, 21, and YouTuber Tana Mongeau, 20. 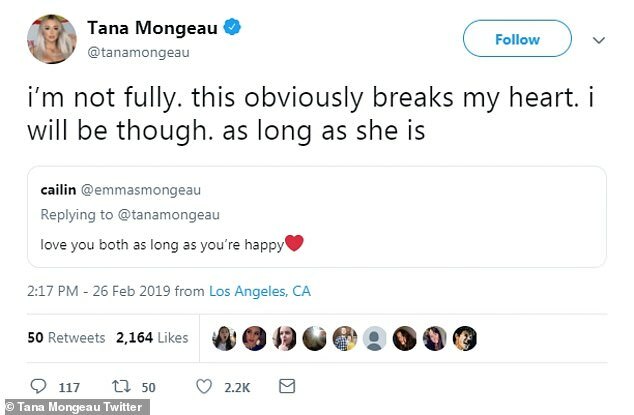 While Bella’s tweets seemed to suggest things ended amicably, Tana took a more somber tone in her messages. ‘I love her forever don’t get that twisted. she changed my life forever. don’t rly wanna talk on it.. there’s no negativity at all,’ the vlogger, who boasts over 3.8million subscribers, tweeted. 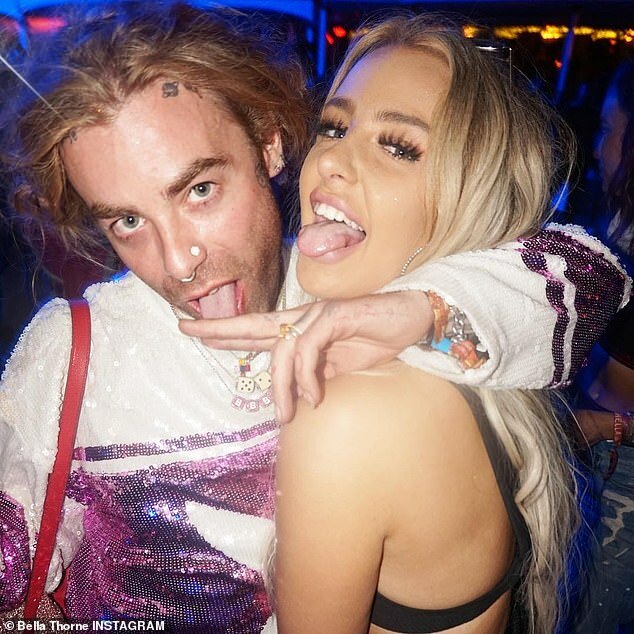 Though Tana and Thorne’s relationship has run its course, Bella still appears to be going strong with musician beau ModSun. News of the split comes a little less than a month after Bella opened up about her relationships for her Gay Times cover story. ‘I don’t think anybody will really understand the bonds that I share with Mod or Tana,’ Thorne told the outlet. Actress Bella and YouTuber Tana first sparked things around a year after the later joked that she wanted to ‘date’ Bella before even having met the movie star. Then, destiny brought the pair together when they met just days later at Las Vegas’ 2017 Life Is Beautiful music festival. After spending a whirlwind weekend together, the pair shared a photo of a kiss on their social media and the rest was history. From there on the pair seemed almost inseparable, frequently posting PDA-packed social media and sharing photos from their lavish trips together. ‘For me, it was very much instant love, instant infatuation, instant obsession, and my entire life became Bella, Bella, Bella,’ Tana effused.